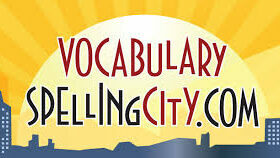 VocabularySpellingCity.com is dedicated to helping students, teachers, parent-teachers, and school systems. VocabularySpellingCity is an award-winning site with ongoing introduction of new features, many based on input from existing users. Our mission: efficient game-based study of literacy skills using any word list. Look up a word, learn it forever. Don’t just memorize. Achieve mastery. Ditch the flash cards and stop memorizing definitions. Vocabulary.com teaches you words by systematically exposing you to a wide array of question types and activities that will help you understand all the meanings and nuances of every word you’re learning. Even after you’ve achieved mastery, Vocabulary.com continues to reinforce what you have learned to make sure that it all stays fresh in your memory. Look up a word in their dictionary — you’ll read a friendly explanation that you’ll actually remember. It’s as if your favorite teacher were explaining the word to you. Clever usage tips and real-world examples show you how words live in the wild so you’ll be more confident using them yourself.